The top business entrepreneurs believe in a saying, “Do what you do best and outsource the rest”. This saying fits perfectly to the time sapping, boring yet important task of data entry services. The progressing demand for data entry services has generated a high need for a qualified and experienced data entry assistant. E Virtual services have earned a renowned name in the data entry assistants. We are here to join your hands so that you can focus more on what you do best. At E Virtual Services, we strive hard to present our clients with unparalleled quality of services in diverse fields of data entry. In today’s world of business, data file administration plays a significant role in the successful functioning of an organization. E Virtual services are a prolific organization involved in proving all types of virtual assistant services. Data entry services is one of them. We understand the need for accurate, fast and unerring data entry services. 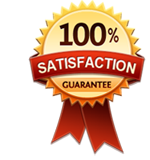 Therefore, to fulfill our clients’ needs, we employ a highly qualified and experienced team of data entry assistants. Our virtual assistant in terms of data entry increases your possibilities to maximize the revenue through the internet. This will assist business owners to invest their time, efforts and manpower in the core activities of the business, and thus augmenting the business and its profits. We understand that time is precious and thus we lay special focus on typing speed. This ensures that our clients get their work done within speculated time. Last but not the least, cost is another major concern. Do not worry about that as we assure you to provide unparalleled cost effective solutions. Contact us today for a better tomorrow..